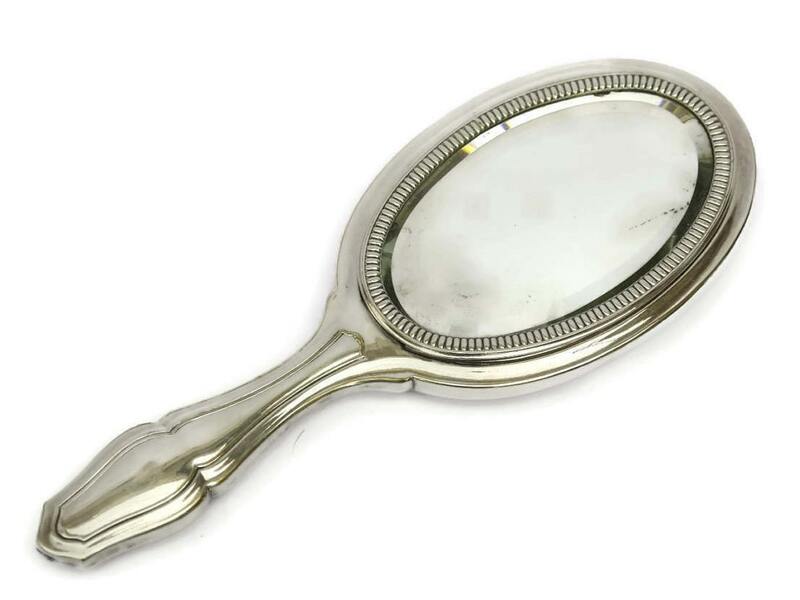 An elegant silver plated vanity hand mirror created in France in the 1920's. 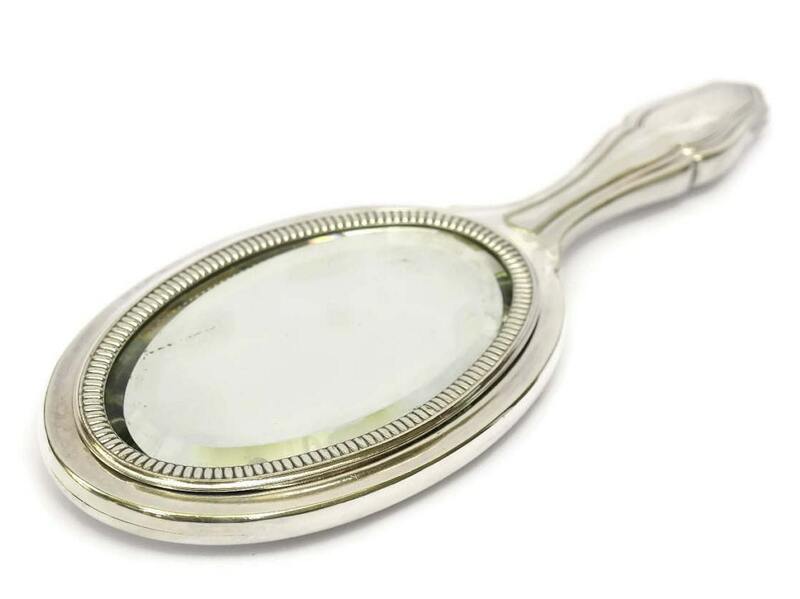 It features a large oval glass mirror with beveled edges set in a silver metal frame. 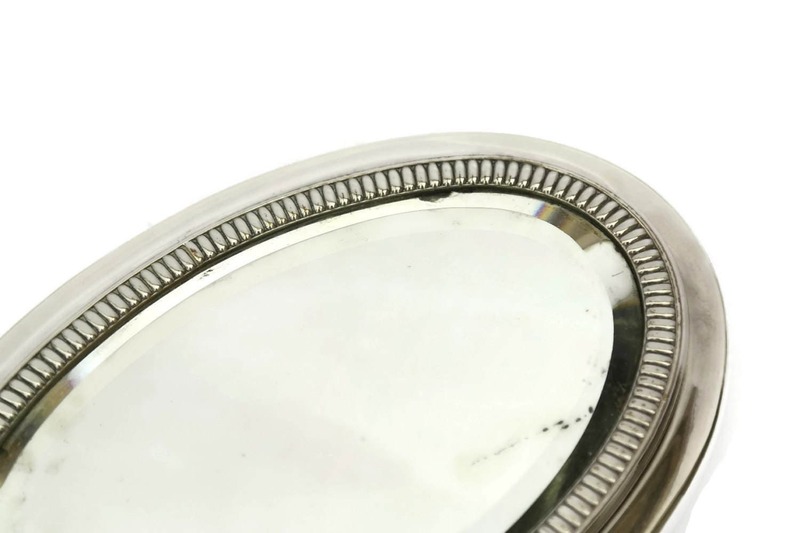 The mirror is bordered with bead motifs and the reverse side has two small clam shells. 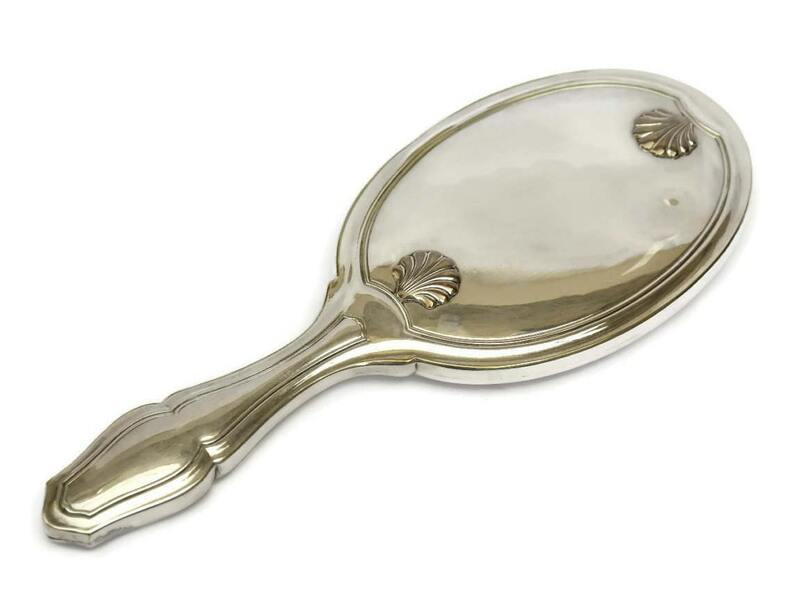 It will make a great addition to your French Art Deco boudoir decor. (27 cm x 10 cm). 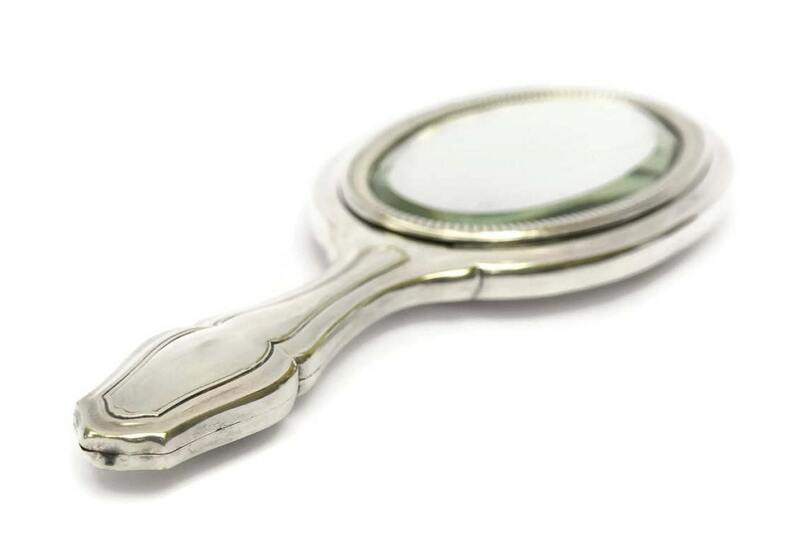 The vintage hand mirror is in good condition. There are age marks and spots to the glass; light dents to the tip of the handle and back of the mirror and minor plating loss in places.